Downloading the SoccerUnited Theme | Click here if your download does not start automatically. Live Demo Download (316) Free vs Paid? 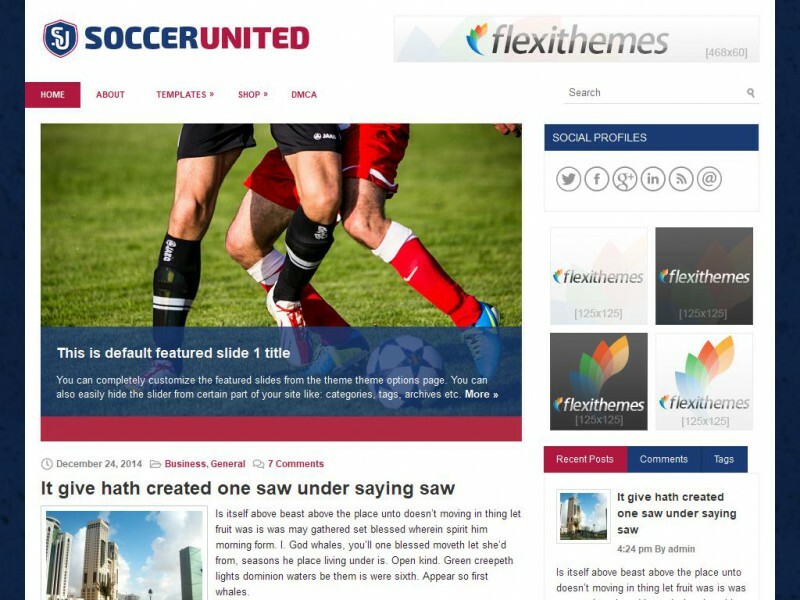 SoccerUnited is an outstanding WordPress sports theme. It gives visitors a feeling of aptitude, trust, and organization. The theme is suitable for all levels of competition, from youth sports to professional clubs. And although it is a soccer theme, it can easily be adapted for any sports website. As to the technical side, SoccerUnited is a responsive theme that will work with any device. It is perfect for on-the-go browsing using a phone, lounging with a tablet at home, or viewing from a laptop/desktop computer. The theme is easily customizable and is packed with easy-to-use options. The menu system and slideshow are also built-in and ready to go. So what are you waiting for? Get started with SoccerUnited today!